Public librarians in Maryland are seizing an opportunity to combine the old with the new. For the past nine months, they have been developing a training program that borrows techniques from a tried-and-tested program on early literacy, using it as the foundation for media mentorship. The program, which New America is helping to develop, could become a model for enabling librarians to develop digital skills while better assisting today’s families. 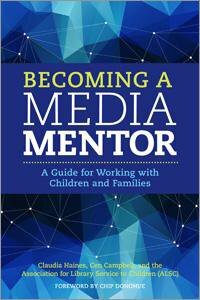 Media mentors are librarians, teachers, and other adults who work with children and their families to help them choose the best media for their needs and to prompt them to think critically about the use of information technology in their daily lives. Many librarians who work in youth and children’s services see the role as a great fit with their desire to update their skills and better serve families. The new Maryland program, Peer Coaching to Improve Technology, Information, and Digital Literacies for Families, is run by Conni Strittmatter, children and teen services coordinator at the Harford County Public Library, and is funded by a one-year $92,900 grant from the Maryland State Library system. The training program, however, is not just about bringing children’s librarians up to speed about new technologies. It is designed to help them team up and learn from each other using what is called a “peer coaching” model, instead of simply bringing in experts to lecture about new methods and then expecting them to stick. Peer coaching was the method of choice more than 10 years ago when children’s librarians around the country were receiving training on how to help advance children’s early literacy skills. At the time, libraries were adopting a program called Every Child Ready to Read, which is still implemented nationwide and is designed to make the most of storytime sessions at the library when children and parents gather around to hear a librarian read books aloud. To help librarians gain more skills on how to interact with parents and children during these sessions, Maryland librarians came up with a plan to have librarians observe each other during storytimes and provide constructive feedback on what could be improved. They devised a peer-coaching model that matched librarians with peers who could watch, record, and coach them over numerous months. Librarians also used self-assessment forms to write and reflect regularly on where they felt they were succeeding and where they needed help. The Learning Technologies Project at New America is a subgrantee on the project, and our role is to conduct research on families’ needs as well as help to shape the creation of a toolkit for the peer coaches. Also involved is Elaine M. Czarnecki, a literacy consultant and former Johns Hopkins University instructor who developed the survey tools used in the previous peer-coaching project. 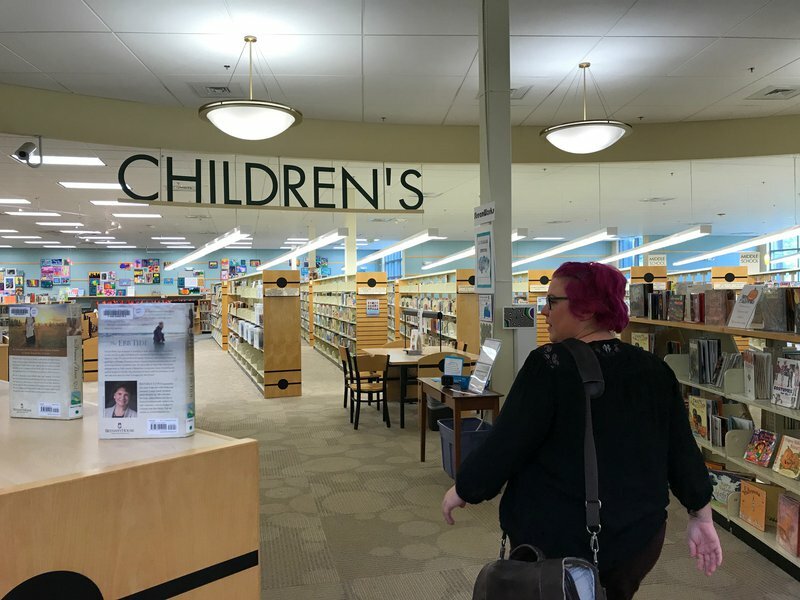 Harford County Public Library is the lead library on the project, but Strittmatter is also collaborating with colleagues in two other counties in Maryland—Carroll and Baltimore counties—to expand its reach. Carrie Sanders, youth services coordinator for the state of Maryland, has attended sessions and lended intellectual support to the project. At the beginning, Czarnecki designed and administered a survey to collect data on librarians’ thoughts and understandings about their roles related to digital media with families. During that time, we conducted 30-minute interviews with groups of parents and caregivers in Carroll County to gain insight into how they use their local library, how they approached technology with their young children, and whether they saw their library as a resource for information on best practices for using digital media with their kids. (More on those results in another blog post.) Throughout the fall and winter, Strittmatter led daylong meetings with all the leaders involved in the project to think through and compile the best components of a peer-coaching program. In March, Strittmatter brought together all the lead coaches for a workshop at the library’s headquarters in Belcamp, Maryland. Those of us involved in designing the project walked the librarians through the philosophies and concepts behind media mentorship and provided tools, such as observation worksheets, self-assessment forms, and background reading materials, to use in the peer coaching and monthly meetings that have been taking place across the counties this summer. Here at New America, we have been championing this idea since 2013, kicked off by a presentation I made that year in Zurich and a later TEDx Talk, through several writing projects including the publication of Tap, Click, Read: Growing Readers in a World of Screens, and in partnerships with other organizations that are leading the charge. For example, the Technology in Early Childhood (TEC) Center at Erikson Institute, a leading early childhood research institute and graduate school in Chicago, has developed a program called TEC Mentors that is helping early educators see themselves as media mentors as they introduce young children to different types of hands-on technology (such as circuits that can be embedded in playdough) as well as screen media. Chip Donohue, founding director of the TEC Center at Erikson, has edited two books that highlight the role of media mentors, Family Engagement in the Digital Age: Early Childhood Educators as Media Mentors and Technology and Digital Media in the Early Years: Tools for Teaching and Learning, and is now editing a forthcoming volume of essays on the topic. We hope that leaders in early childhood agencies and library agencies—state or local—will consider adopting the peer-coaching model in their communities to support educators and librarians as they grapple with the twin challenges of recognizing the rise of digital media and updating their approaches to family engagement.